Also listed as C. procumbens, Striebs Findling is an excellent, tiny leafed evergreen creeper. It is floriferous, with somewhat larger flowers than many, and has abundant bright red, ¼" berries in the fall and winter. We like this one for the way it hugs contours, rambles over rock. Good scale for container underplanting, troughs and rock gardens. Likes good drainage, full sun, and only moderate water once established. 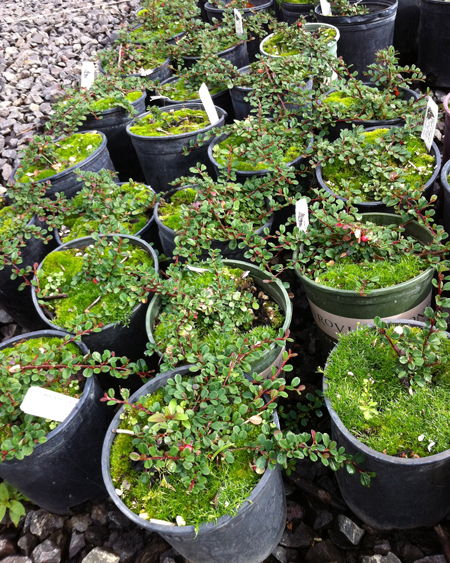 Categories: All Plants, Broadleaf Evergreens, More..